Benefit from 20 Years of Excel Development. How most Excel problems start. 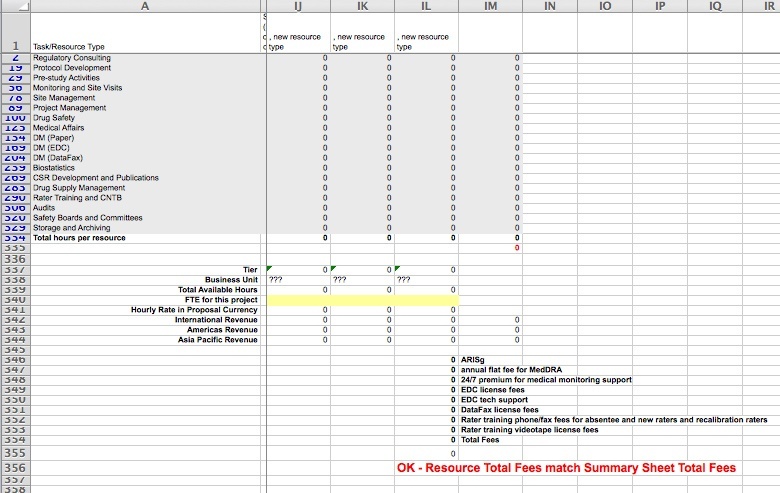 Quick Pay for your Excel-VBA-Expert Invoices. 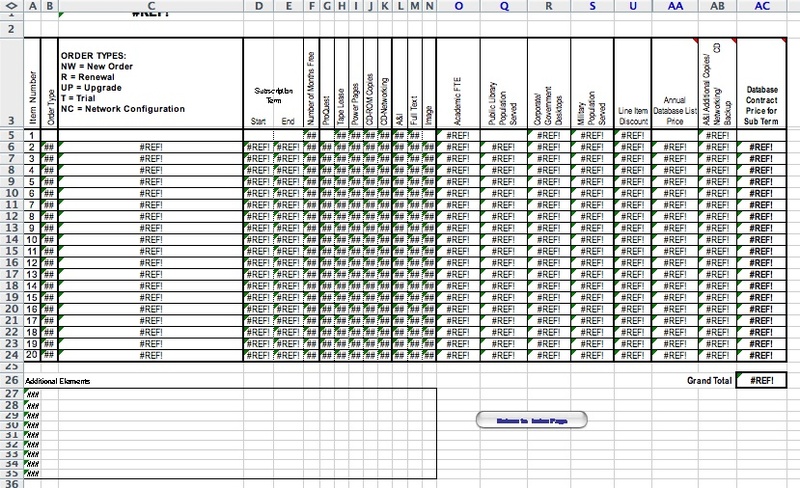 Wireframe Android and iOS Apps with Excel … yes you can! 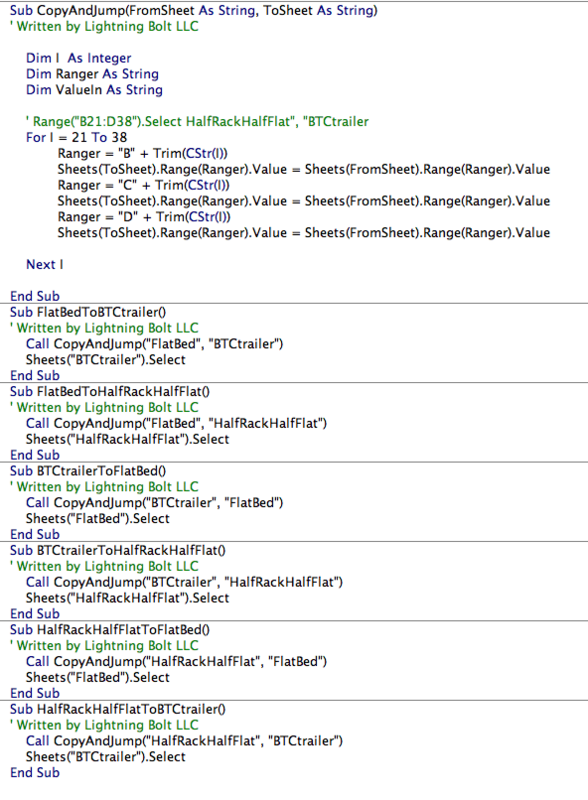 Here are some examples of client problems I solved with Excel, VBA and Macros. Problem: Update the sales quoting sheet so that it works better and looks better. 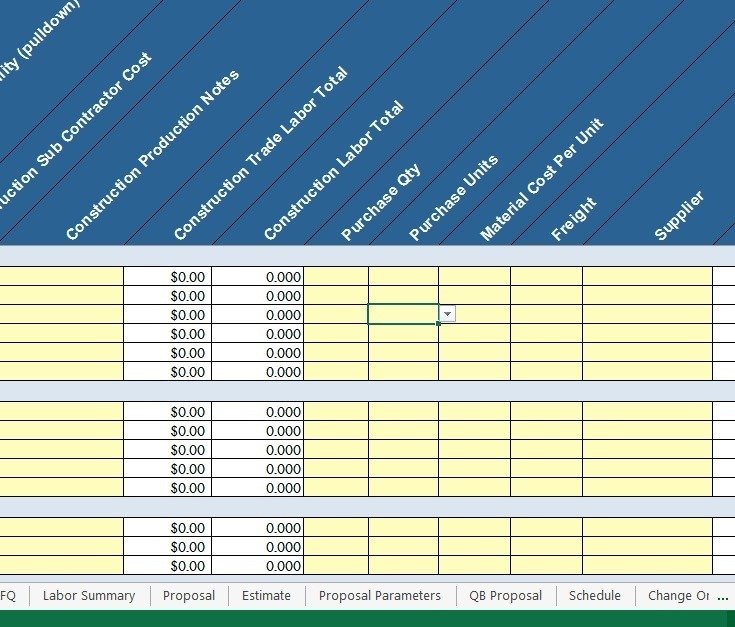 After, the sheet has a proper user interface, the looks good and uses VBA code to create proper quotes. 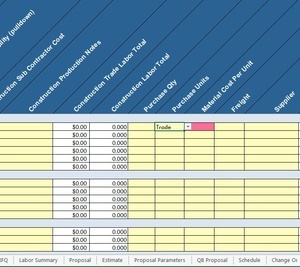 The VBA code processed quotes with advanced pricing models that increased sales. Problem: Help the engineers with a better user interface so they could focus on what’s important. And not get distracted with all the data. 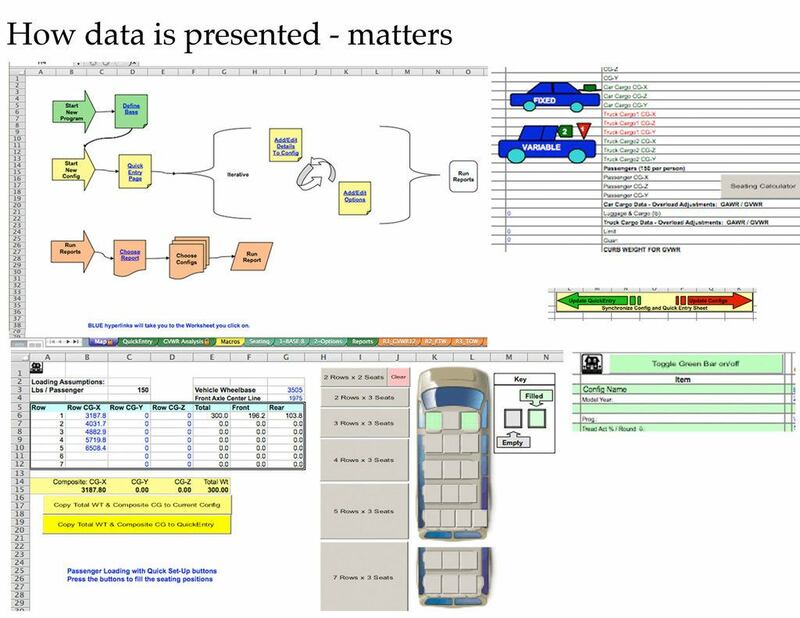 What you see below, is are a number of interfaces in Excel, to help people see what’s important. and a push button interface to calculate the weight loading of a van based on the number of seats (lower). Problem: With over 5,000 calculations, this large sheet could generate rounding errors. Solution: Use VBA to run the same calculations and check when rounding errors were significant. Problem: Wanted to show how stock data might be displayed it in their app. 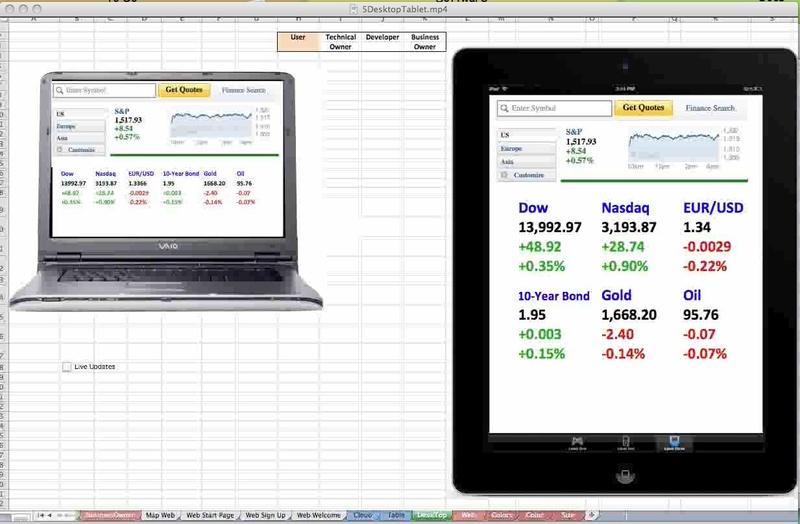 Solution: Use Excel to get data from the web, and display it in mock-up of a laptop and tablet app. Problem: Client needed a database in Excel. Normally a task for Microsoft Access. 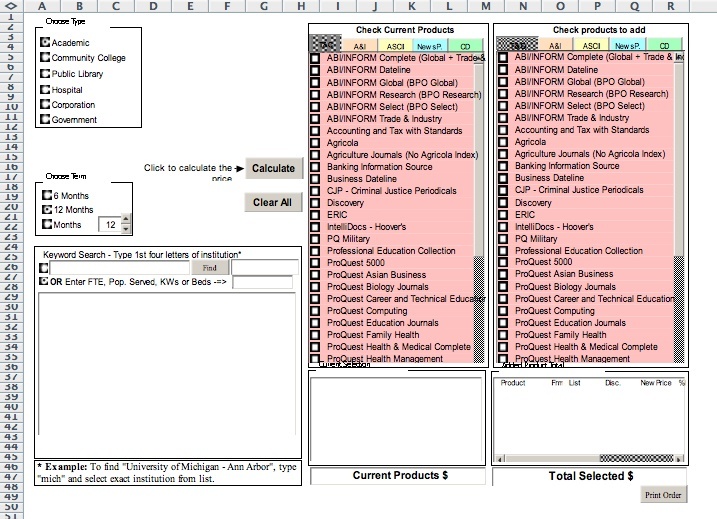 Solution: Used VBA to access a hidden tab (sheet) that accessed the data with an unlimited number of rows. Each row in indexed in the first column (far left, black and yellow striped). This index allowed for fast lookups, and data could be deleted by removing the indexed row. 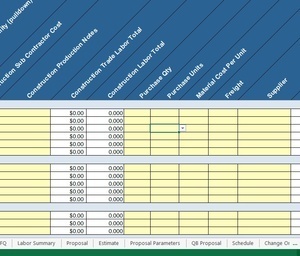 Problem: Client wanted a way to format cells, by color, so that people would see when contractors were used. Excel’s standard Conditional Formatting left the client with too few options. 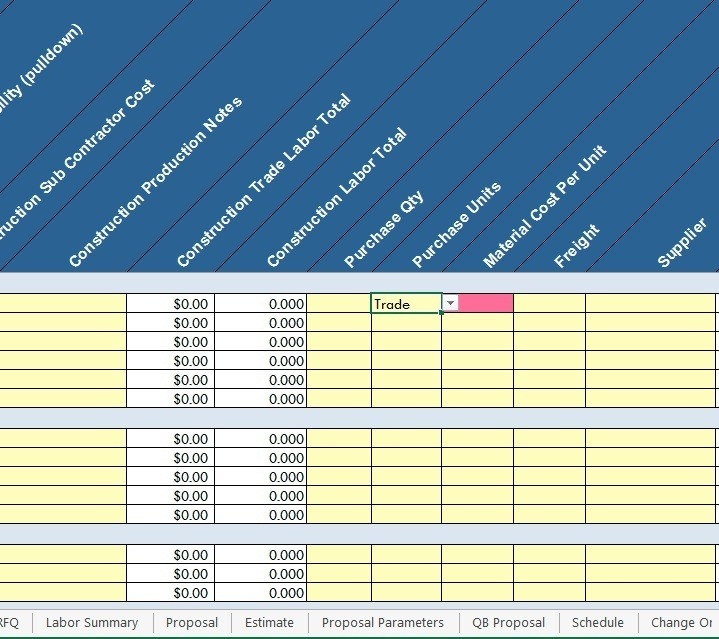 Solution: Use VBA code to allow a full range of options based on the drop down. 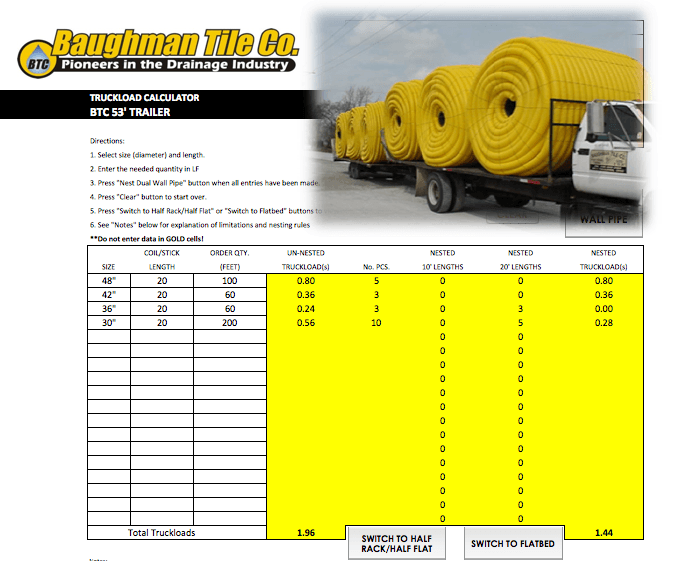 Problem: Client ships pipe but the cost of shipping is based on the weight AND size of the load. to quote customers shipping costs. They used complex if-then statements that failed. calculate the shipping load based on the size reduction. you want to update it, the code is unreadable by you or the next developer. 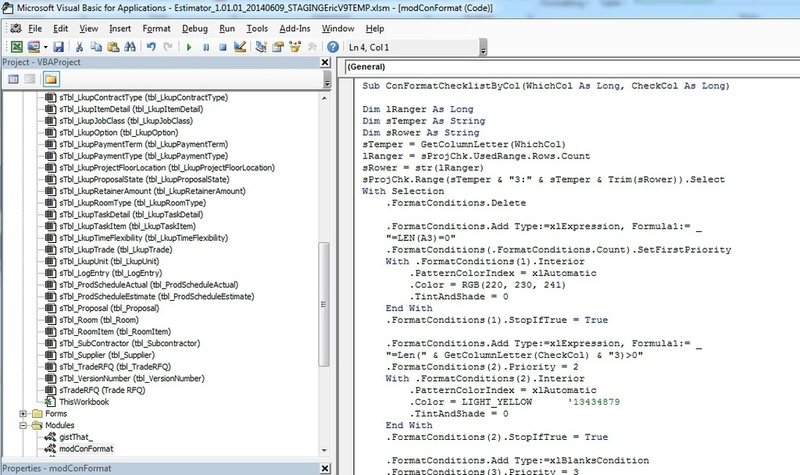 Solution: All the VBA code I develop is modular and easy to understand for other developers. You’ll also notice that each of the smaller routines does not do very much. They each call the top routine. For help with Excel, please contact me, thanks Eric.